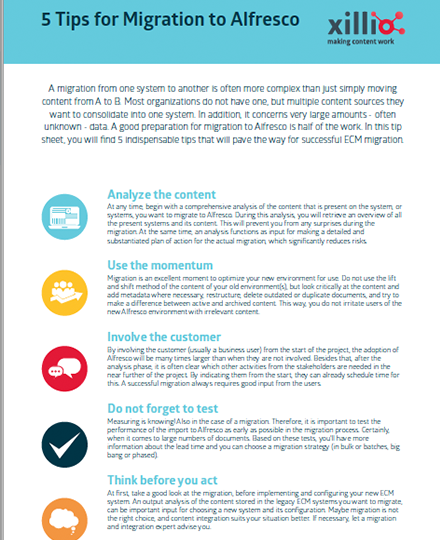 A migration from one system to another is often more complex than just simply moving content from A to B. In this tip sheet you will find 5 indispensable tips that will pave the way to succesfully migrate to Alfresco. After filling out your information, you will receive an email with a link to the tip sheet.